Sounds like a lot of fun. The best part must be if it’s a treat, you get to eat it. Not only do you get to eat the treats you find, but then you get MORE treats as a reward for finding the treats. WOOT!! I’ve thought about doing this with our two dogs and tonight you totally inspired me. I just grabbed a handful of different sized and shaped plastic containers from the tupperware cabinet, stuck a couple treats in one and lined them up in the living room. Our little chihuahua/cattle dog, Luna, mix went bananas with excitement over the new game. So was having so much fun that our pit bull mix, Jack, came to see what was up. Jack is not very food motivated and is fearful but has always been a super smarty at food puzzles, he totally rocked the container search, figuring out how to grab and tilt them to slide the treats out. The dogs were great at taking turns playing the game, the non-participating one worked on their sit/stay on the other side of the room. We even fed Jack dinner by dividing it up into a few of the containers (the last one he picked up and carried outside to eat on the patio). Great idea! Thank you sooo much!!! That’s awesome Brittany! I’m so glad that you guys enjoyed playing at home and that Jack found a new way to have fun and be brave. Way to go buddy! I’ve always been so interested in nose work classes but never had the chance to take one – there’s not too many places that teach it. 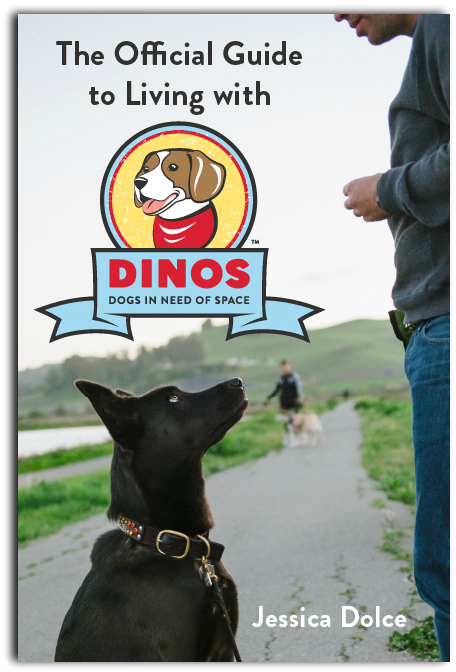 Looks like such a great experience for both dogs and people alike. Don’t have any experience with Noseworks (although it’s something that I’ve REALLY wanted to get involved in, unfortunately it’s taking its sweet time gaining popularity in Canada…) but that Tuna Fudge – I swear by that stuff! It’s been SO useful during counterconditioning and desensitization with my reactive boy, high*stinky*value, portable, cheap – win win win! That’s great to hear Anne! Great reasons to do Nose Work…..& NO reason not to…..just love it & you spell it out perfectly. A win-win activity!! 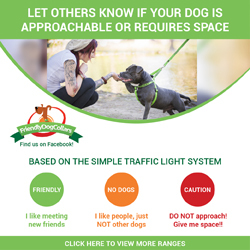 It’s such a simple concept & inexpensive challenge for dogs…..it works almost anywhere in our homes or at doggie gyms….even in our backyards—there’s more distractions there, so it gives you something else to work on…..this is such a natural behavior for dogs to do…..we humans are the ones learning. It keeps their brains working & that’s a good thing. With all of our reactive dogs, building their confidence at each new step helps them achieve & behave much better. It continually brings their focus onto us, who they now trust, taking them through all these new things plus having fun. You are so right about having fun w/our reactive dogs. Just being able to do fun things, w/our DINOS, is a beautiful gift. Makes it all worthwhile. Love our DINOS! I’ve thought about doing this with our reactive (though reasonably social) dog, Jim, but two things have kept us from it. 1) He’s never willing to eat a treat in public, nor is he the least bit motivated by food as a training tool, and 2) the local dog trainer who’s running Nose Work classes mentioned that dogs have to be ok with being crated until it’s their turn, and wow, is that not fun or relaxing for our Jim. Is that a normal part of Nose Work classes? Any thoughts on either of these issues? Jim enjoys rally and other group classes, he’s great off leash and he’s got his Border Collie smarts, but crating him for the majority of a class doesn’t seem like any fun for him. But crating him for the times in class when he’s not working is little different to having him chill out on a mat when he’s not working, or going back to the car when he’s not working, or having to sit on the sidelines when he’s not working. It’s a perfectly sane, sensible thing for classes to expect dogs to be somewhere specific out of the way when they’re not working. I totally disagree. I think crating is really different for some dogs. Lots of dogs who dislike being crated are much more comfy in their cars. The instructor has a right to ask them to do it, but they have a right to decide that particular set up is not the best fit for their individual dog’s needs. And like I said in the blog, Nose Works is for every dog – even the ones who hate crates, aren’t trained to relax on a mat, etc. No skills necessary. Nose Works should be a fun, positive, judgement-free experience! I agree that it’s a reasonable expectation for many dogs, but Jim spent 18 months in the pound before we adopted him, and was in who knows what conditions in Romania before that. He’s willing to be crated now, because he wants to please, but it’s not fun for him, and is completely different than chilling on a mat or waiting in a car. I totally get that the dogs who aren’t working need to be out of the way, but it doesn’t follow that sane and sensible necessarily = fun for our particular dog. And it it’s not fun for him, why bother? Kimba, Dogs are usually in crates or they can hang out in their cars in between runs (so that the dog working has the room all to themselves). If Jim would prefer the car, maybe you can ask the instructor if that would be an ok alternative. For dogs that aren’t motivated by food, you can reward Jim with a toy or game of tug (or whatever he enjoys) when he finds the hides. 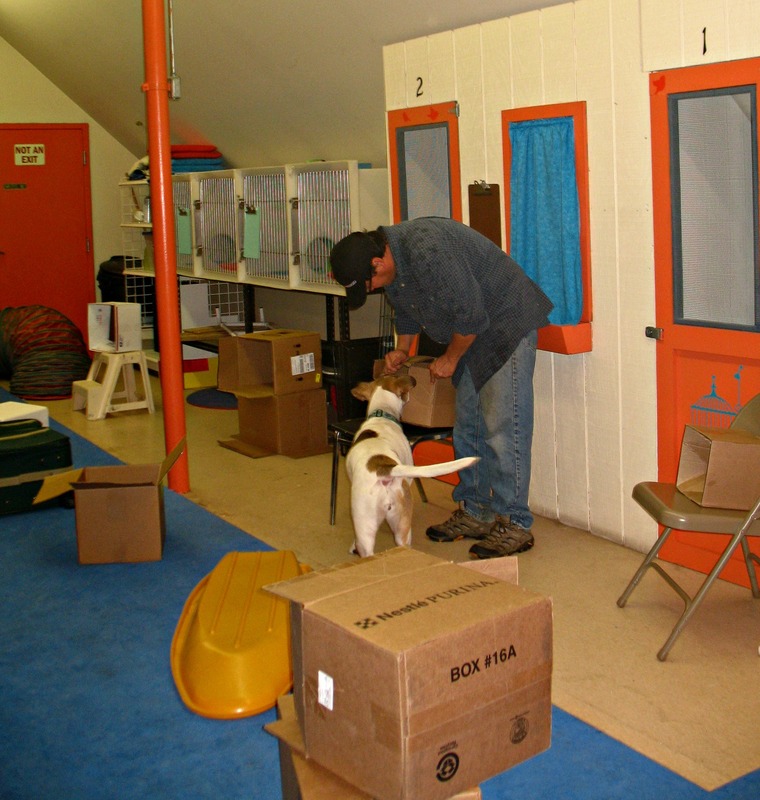 The classes start off really, really easy and are geared so that the dogs are always successful. Even the most fearful dogs in my classes, who seemed uninterested at first, eventually started to get really excited about their turn to work. And you can always try it at home if your local class isn’t the right fit! I think we’ll give it a try at home 🙂 I bet he’d enjoy it. Thanks for the encouragement, as usual. You got it! Jim sounds like he’s earned some fun. 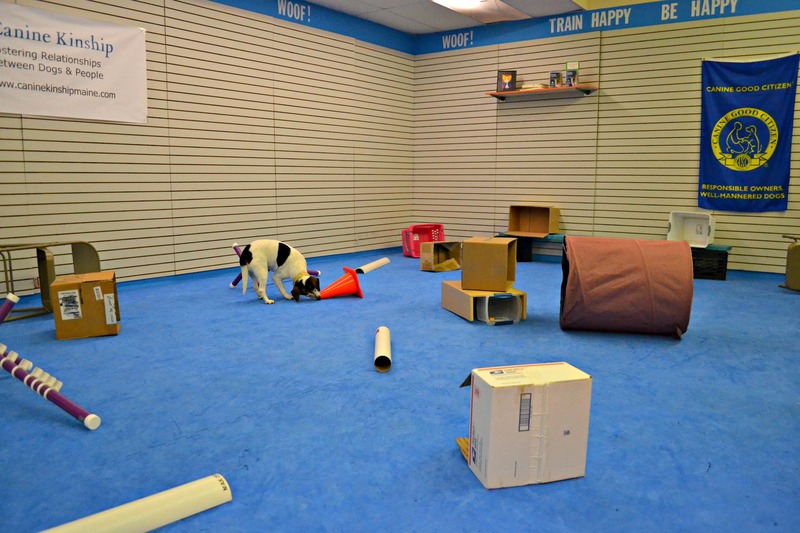 If he loves it and you want to join a class, check out the comment from loubogart who mentioned their dog gets to skip the crate and hang out in another room. If your trainer is flexible and understanding (hallmarks of a good trainer!) she might be open to something different. Either way, enjoy! What a great write-up! I’m just putting together a press release about the sport here in Canada (we callit sport detection here) and I serioseriously want to steal most of this! I see so many people and dogs discovering this wonderful sport – there really are very few limits as to who can participate and have fun! Yeech. Too many typos when sending from a phone while crouched under my desk! I’m thinking this would be a fun “class” to set up either by myself or with my mentor trainer from my Animal Behavior College obedience training instructor externship. I’m going to look into this a bit more. Thanks for the post — it inspired me!! I absolutely adore Noseworks!! And I have tried many types of training and activities, but Nosework is by far the best and definitely has the best, most compassionate and inclusive culture of the dog world. I took my shelter rescue who sounds like she shares much of the same traits as Boogie (right down to the ball = safe and keeping her world intentionally small). Nosework boosted her confidence (and mine) hugely. I felt like a normal person with a normal dog. We were both so proud of her bravery and accomplishments and I saw such huge leaps in just 6 weeks. I think everyone should do Nosework with their dogs! As a Nosework participant, I think you missed a category of dogs that can TOTALLY HANDLE this type of class – stupid/hard to train. My dog loves to work, and once he knows a skill he will do it on request until his feet fall off, but putting together a new skill takes months of concentrated effort (which is why he only knows three tricks). We have been doing Nosework for almost a year, and he. is. brilliant! It’s fun to finally find something where he’s SMART – so good that we are ready to switch to odor a full set of classes before we expected. I really enjoy working with my dog, going to class, etc., but it’s sometimes discouraging to watch the other dogs “get it” so much faster. And it takes just as much brain-power for him to find roast beef as it does to figure out what “roll over” means, so after class we have a happy, worn out pup. I recommend it whole-heartedly, and love the post! That’s awesome! I promise that from now on I’ll keep the not-so-bright dogs in mind too. 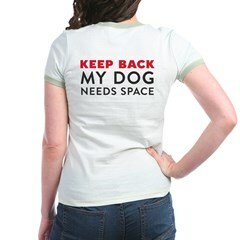 To be honest, I think my dog Birdie might fall into this category too! Glad you found something your dog can shine at (eventually).